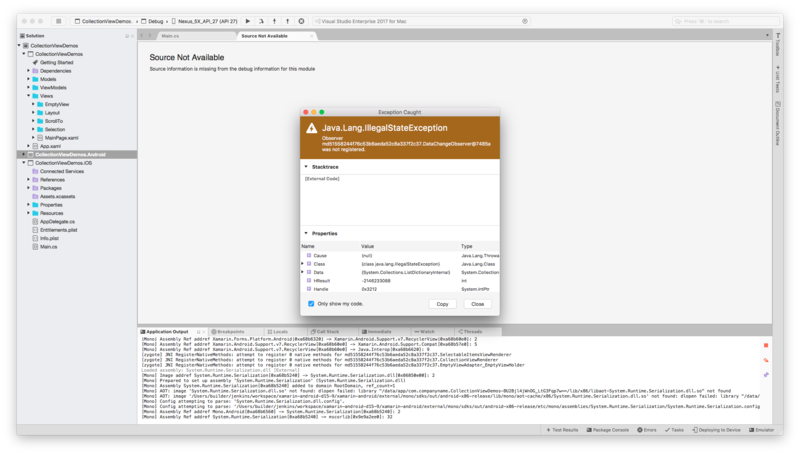 Java.Lang.IllegalStateException: Observer md51558244f76c53b6aeda52c8a337f2c37.DataChangeObserver@e23f401 was not registered. Can you please attach a reproduction? I'm guessing how and where the delay is injected will affect whether this reproduces. Same error 👍 . I have a searchView that filters the items and when there are 0 items, just after modify the query to that it contains items the app crash with the same error. I tried all kinds of threading options, and marshalling to the UI thread (when appropriate) and it always happens. Run the attached sample (either iOS or Android). Sample updates the CollectionView from an ObservableCollection. @hartez I've retried this on 3.6 and 4.0-pre6 and the results are identical for both. 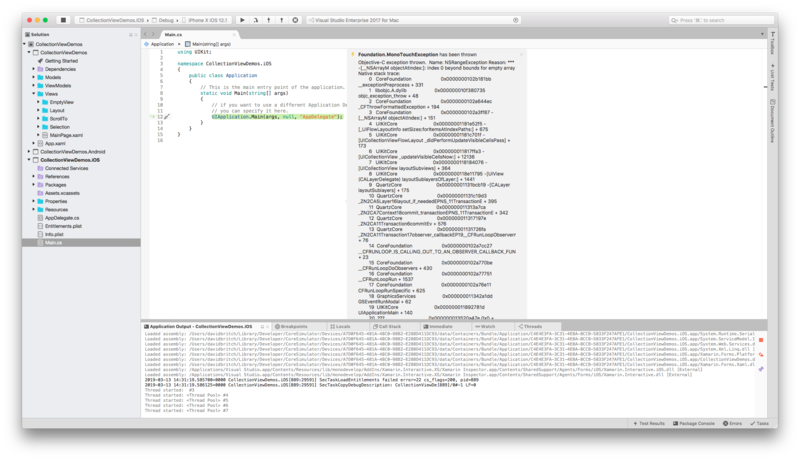 On iOS a MonoTouchException occurs, as per the screenshot above. On Android it works fine. This crash is fixed for Android in 4.0.0-pre6 and for iOS in 4.0.0-pre8.